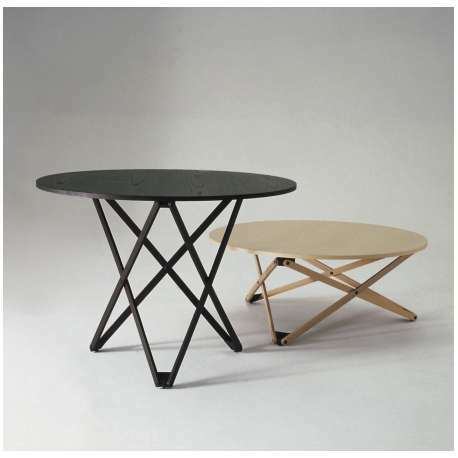 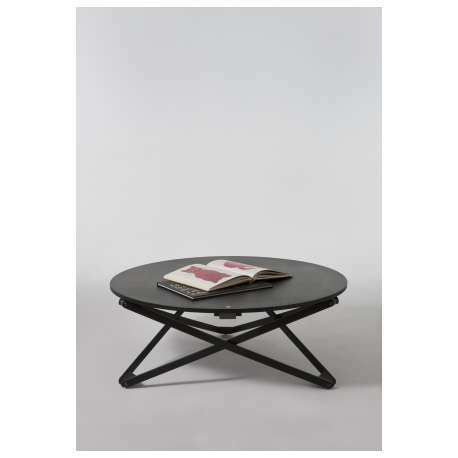 Buy Santa & Cole Subeybaja Adjustable Table by Robert Heritage, 1979 - The biggest stock in Europe of Design furniture! 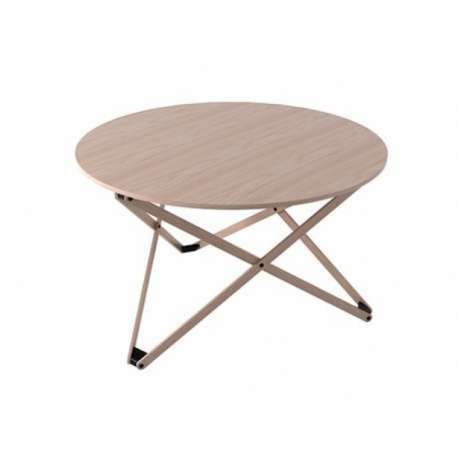 The Subeybaja Adjustable Table is a multipurpose round table with a wooden top and articulated legs that can be adjusted to 7 heights (from 39 cm to 72 cm). 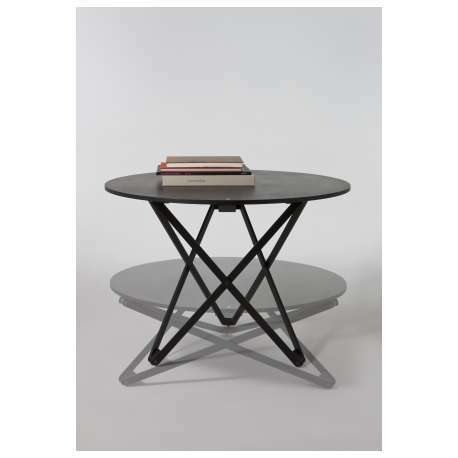 The height is adjusted by means of a smart mechanism, the lever of which is shown by a white point on the table top. 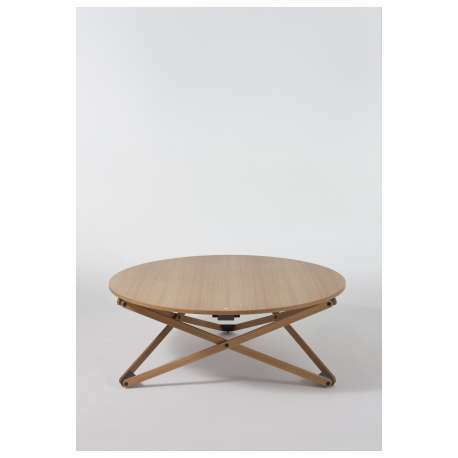 The structure and top of the Subeybaja Adjustable Table are in natural oak or black oak.